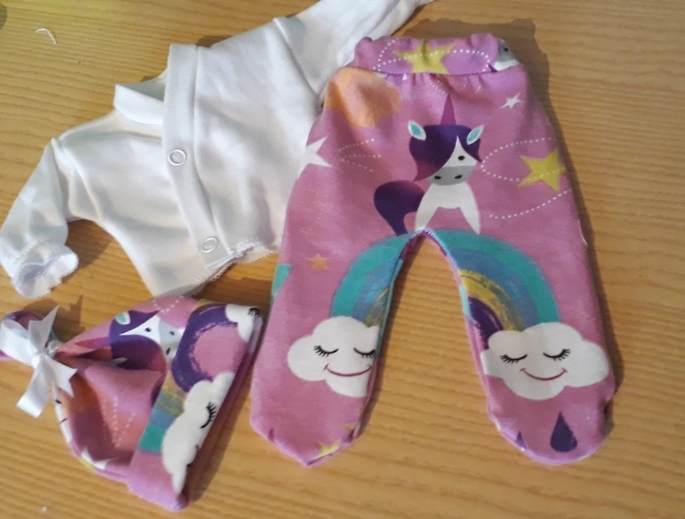 unique unicorn trendy prints out now baby girls burial clothes full outfit for for a princess. comprising A quaint blouse wrap over style Allows for easy dressing access made from softest cotton. cosy heat snug fitting knot hat complete with delicate leggings in girly girl colours of pink unicorns and rainbows jersey cotton fabric.smiles all round when baby she owns this item for a loving cuddles before a final sleep. Delivery: allow one extra day for delivery.these are individually hand made.